Ladakh known as Leh is counted among those few destinations which offer an ideal setting for tours and trekking holidays. Ladakh is bounded by world's two mightiest mountain ranges the great Himalayan and the Karakoram, It lies athwart two others The Ladakh and the Zanskar range. 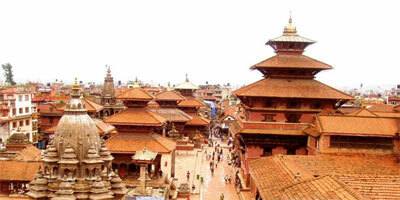 It lies at altitude ranging from about 2,750m to 7,673m. The temperature in summer goes upto 27C and in winter it drops down to minus 20C. Monks at Thiksey Monastery hermits and Nuns. Islam came to Ladakh from central Asia and Kashmir after 15th century AD. Now the Kargil, Drass and Suru valley is populated by Shia and Sunis are in Leh and Kargil in smaller scale. It leaves the first time traveler awestruck by its geographical and cultural difference as they land at Leh. The features of Ladakhi people, their clothes, dialects are similar to Tibetan and Mongoloid then Indian. The Mons from Kullu and Tibet were the first population immigrants to Ladakh as shepherds' nomads and settled down near Indus River. Later drads and others immigrated to Lower Ladakh. 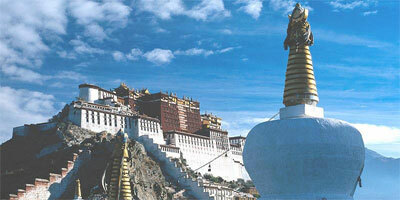 Due to cultural and geographical similarities Ladakh is popular among tourists as Little Tibet. 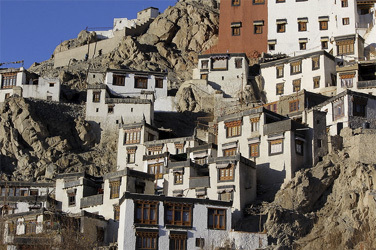 Buddhism is the dominant religion in Ladakh while Kargil district is dominated by Muslims and Buddhist. The approach to Ladakh is invariably marked with many walls that are long upto 2 to 3m, decorated with engraved stones bearing the mantra "Om Mani Padme Hum" and Chortens which symbolizes Buddha's mind . 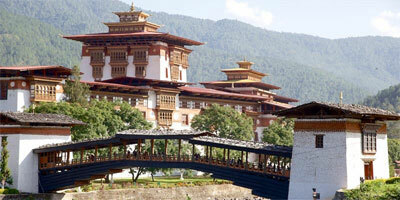 The Villages and Mountains are ornamented with gonpa or monastery residing thousand of Buddhist monks. The land of high pass- is the trans-Himalayan zone which marks the boundary between the peaks of the western Himalaya and the vast Tibetan plateau. It is a region that naturally bends itself to exceptional treks which can still avoid roads for weeks at the time. How to get to Ladakh ? If arriving from overseas by plane Delhi is the main gateway to Ladakh. After arriving in Delhi there is the option to make a connecting flight to Leh by one of the domestic airlines operating the route, or to cross the Himalayas by road. 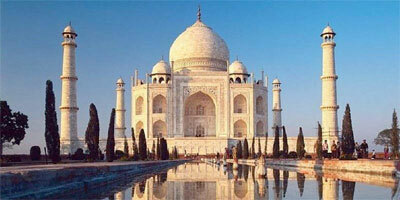 There are currently two airlines operating flights on this route, Indian Airlines and Jet Airways. They each have about one daily flight to Leh all year round. Tickets can be purchased online at the internet home page of each airline or you can contact your local travel agent. The journey to Leh across the Himalayan range by road is possible only in the summer when the high passes are clear from snow. This is usually between late-May and mid-October. There are two roads leading to Leh. One passes through Kashmir and Srinagar and the other goes through Manali in Himachal Pradesh. Because of militant activity it is not advisable to travel by land through Kashmir at the moment so we recommend the Manali - Leh road. From Delhi it is minimum a three day journey. There is frequent bus service between Delhi-Manali and Manali-Leh. It is also possible to hire a 4 wheel drive in Manali. The Manali-Leh road passes over five high passes: Rohtang La (3978 m), Baralacha La (4892 m), Lungalacha La (5059 m) and Taglang La (5325 m). We (Alpine Adventure Club) provide many different kind of Itineraries for different tours in Ladakh including trekking in Ladakh, hiking in Ladakh Himalayas, treks in Ladakh mountain regions but it doesn’t mean that you have to strictly follow it so feel free to inquiry us with your suggestions, trekking tours Itineraries plays a very important role in the Guided trekking tour in Ladakh. We are strongly believes in giving a Personalized memorable trekking tours in Ladakh. It is true that our company is located in Kathmandu, Nepal but we have good connection with local people and travel agent in India so we are working together with them to make our customers happy in India (Ladakh).